Our next visit on our Danube River Cruise was to the gorgeous city of Vienna, one of the most beautiful places I have ever seen. We got there in the late afternoon, and had time to enjoy the city in the evening. Picture the sun setting on lovely old buildings, a river flowing through the city, evening lights coming up slowly along the wide boulevards…it was a photographers dream. Walking through this city is such a pleasure that one never gets tired of its beauty. There are separate lanes for pedestrians, cyclists, local trains and vehicles. All roads are lined with huge green trees so the city never looks too congested. We had the pleasure of going to a live concert at a beautiful venue the same evening. 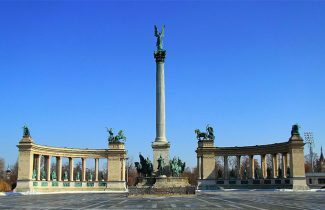 (Vienna is famous for its concerts and operas). We were over 100 people at the concert, and everyone thoroughly enjoyed themselves. There were so many things we wanted to do, and places to see in and around Vienna, but there was not enough time. I would love to go back there again some day. 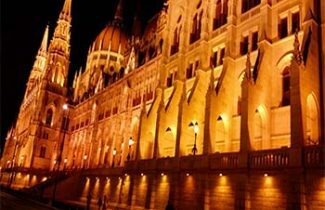 Our last stop on our Danube River Cruise was Budapest, my most memorable experience. 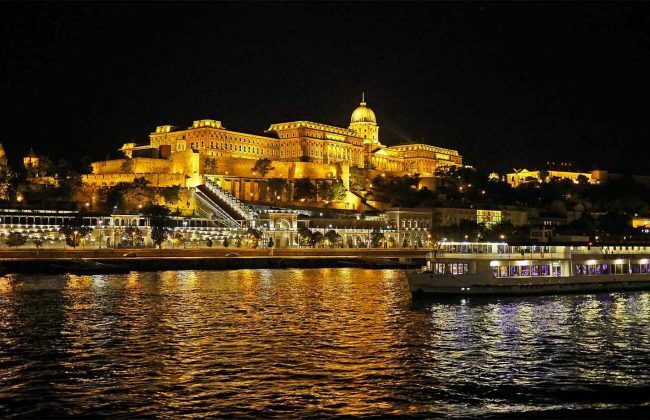 As you sail into the city you see Buda on one side, and Pest on the other with majestic palaces, statues, their parliament building (architectural perfection)…. too many to mention. We disembarked after a hearty breakfast as we had a busy day ahead of us. We checked into our hotel within half an hour as the hotel is very close to the Danube River. We did the walking tour of Pest (our hotel was on Pest side) which took us about two hours. We walked back to our hotel facing the Buda palace and enjoyed a leisurely lunch on our hotel deck, which is just next to the River. Both sides of the river have remarkable official buildings, restaurants, hotels, wide pedestrian and cycle paths. Walking and cycling is a favorite thing for locals to do. There are many marathons and thousands of people that run along the sides of the river. A tour of Buda with the palace facing the river has the most spectacular views of the Pest. Buda has always been the home of the rich, so a drive along the mountains is a favourite thing to do for tourists and locals. Early morning the next day we climbed up to the lady of Trinity statue which can be seen from anywhere, as it is one of the highest points in Buda, and very popular with walkers and cyclists. We took a tour towards the interior all the way where Hungary borders join with Sarajevo. There we enjoyed some spectacular scenery, and a great lunch at a mountain top restaurant with local music and dancing. We also shopped at some villages where local art is very famous. 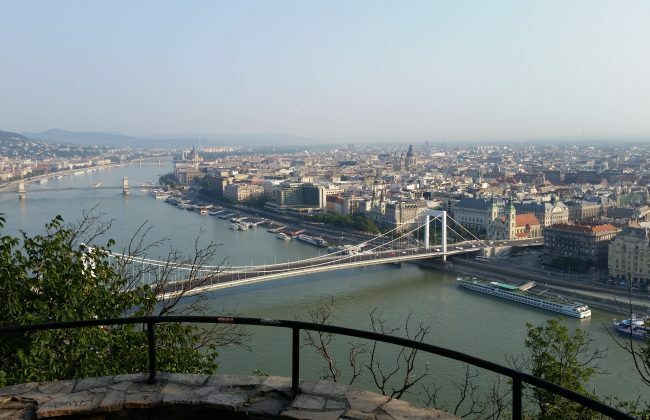 There were some experiences which were not very pleasant, some restaurants in Budapest which I would not recommend, so if you are planning to go there talk to me or some one who has been there and has had these experiences. 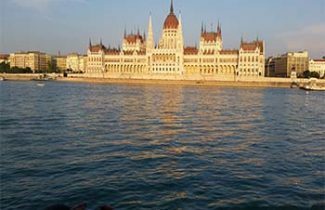 Even though there were some small unpleasant situations in this part of Eastern Europe, it was the most beautiful experience of my life…taking an Avalon River Cruise on the Danube with spectacular views was amazing. Not to mention the culture, music, food, small bakeries, bars, cafes, palaces, and the night lights ambience in the evenings make this trip all worth the money spent. I would take another Danube River Cruise anytime! 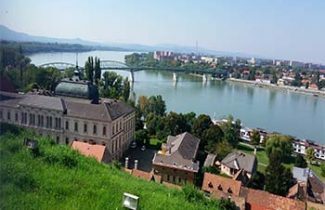 There are plenty of different Danube options with different ports and Itineraries, so it’s just a matter of preference. Let Bains Travel help you choose the one that is best for you!